A hardware + mobile app that farmers can use to monitor the health of their crops. Fidget spinners, the simple spinning toy that came out of nowhere. I thought it'd be cool give it some flare and make it a POV display. 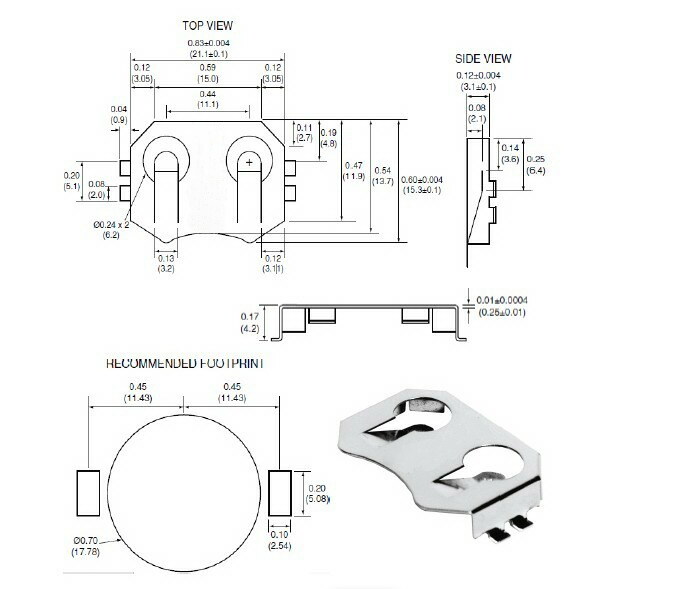 Overall dimensions? 3D models? I'm kind of surprised that one or both of these aren't here on the product page. I think I managed to figure it out on my own, but it'd be nice to have some of this readily available. Anyone know how thick this is (bottom of board to top of battery holder)? According to the datasheet the battery holder is 4.2mm. The PCBs are 0.8mm. 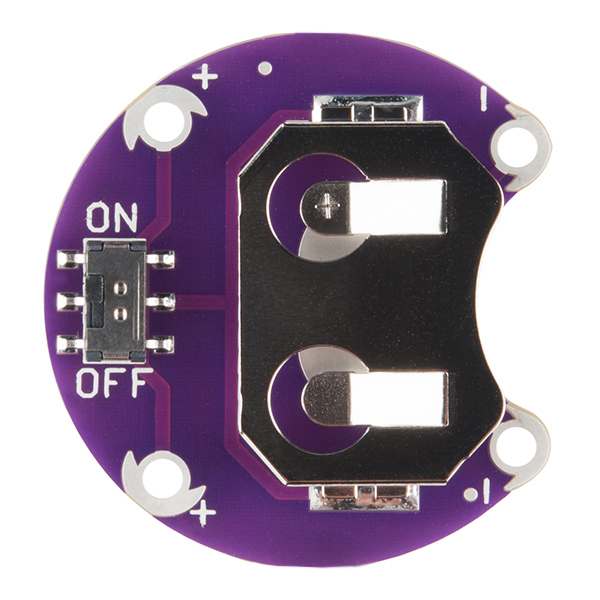 You probably want to add in a bit since the battery holder isn't flush with the board and does have a bit of solder under it, but it should be about 5mm. Is this hand washable without batteries? My Grandson wanted to add LED s to his Fidget Spinner. We tried a conventional holder, the leads were in the way and did not bend, but broke off. 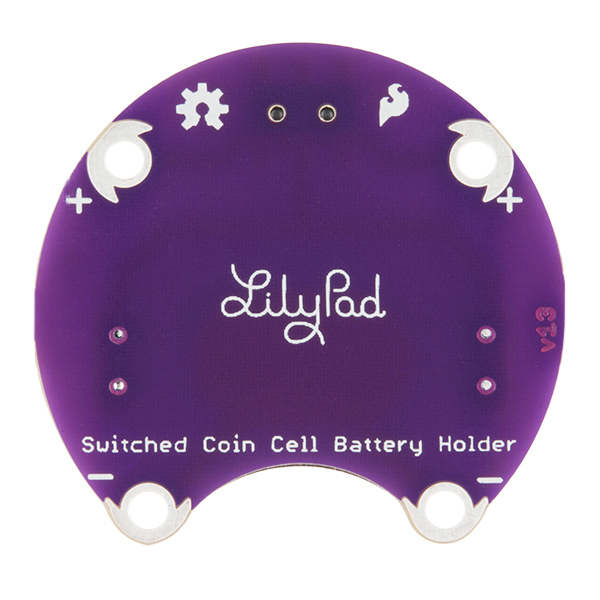 The LilyPad has a flat base. He now has a somewhat weighty spinner with Three Switched LEDs, Happy Kid! I had a complicated Cosplay outfit to make for my son. I ordered the lillypad not knowing if it would work and not having time to try something else. It worked beautifully! What a simple and fun product that can be used for so many different things. 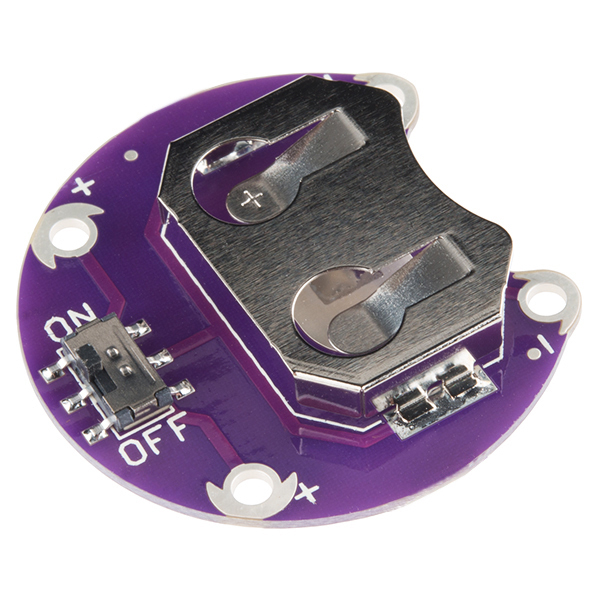 Thank you Sparkfun. I needed a switch to light from within a tiny sculpture I made. The lilypad was the perfect fit and function. I ordered 30 of these. The metal casing that holds the battery lifted off the board on a number of them, so the connection was poor and did not securely hold the battery in place. Other than this, I am a fan of SparkFun. I LOVE their stuff! I'm sorry to hear that happened to your boards! This isn't something that normally happens with this product. 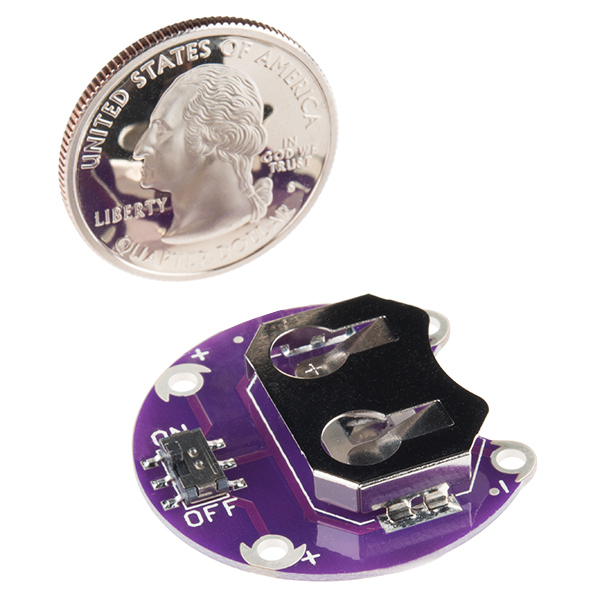 Please get in touch with our technical support team at techsupport@sparkfun.com and we can help you with this. My high school students are sewing circuits for their final exam. They are using these to hold their batteries and work as their switch. We all agree they are awesome! Great product and price! Perfect for small projects. Easy to work with and a good price. Easy to work with and great for small cosplay projects. I used mine for LEDs in a mask! I'll definitely be buying more of these for future projects. Well made, high quality and dependable. I use these holders in a non-standard application that needs very consistent tolerances, and I am never disappointed by the quality.